A Missouri vacation has so much to offer, it's difficult to know where to start. Do you begin with the Branson area with its country vibe and family-friendly atmosphere? Or maybe you head to Kansas City for some blues and barbecue. Then there's St. Louis, home of the world-famous arch and some pretty well-known Clydesdales. Or perhaps you should start in the slower paced, lovely Eureka Springs. 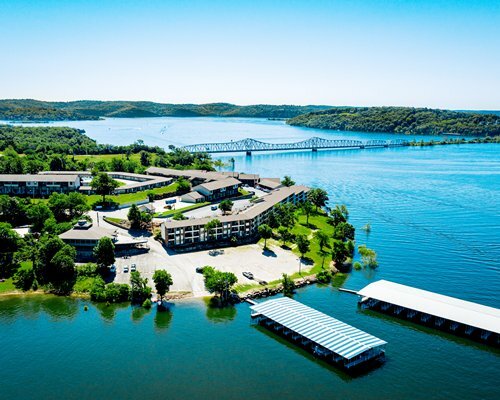 Relax and rejuvenate amid a backdrop of the splendid Ozark Mountains. Soak up the beauty as you explore this quaint, charming town. From food to fun to fabulous music, a Missouri vacation will suit just about any taste. The hard part is just figuring out what to do first. The Dixie Stampede Dinner and Show (Branson). Arguably Branson's most popular dinner show, this Dolly Parton-owned affair offers a savory selection of finger foods (no silverware allowed) to go with entertainment that includes horses, trick riders and (you guessed it) a real, live buffalo stampede. Fiorella's Jack Stack Barbecue (Kansas City). For 50 years, Jack Stack has been feeding a city that's known for its own style of barbecue. Pulled pork, chicken breast, ribs, sausage and, of course, chopped burnt ends are sided with hickory pit beans, cheesy corn bake, potato salad or a variety of other tempting offerings. Avanzare (Springfield). Fine Italian cuisine in the middle of Missouri? Absolutely. Chef Tony Garcia honed his skills in Chicago's top eateries, and now he treats his Springfield customers to homemade pastas, sausages, sauces and desserts. Celebration City (Branson). This theme park, Branson's newest, pays homage to some of the top events and places from 20th Century America. More than 30 rides and attractions are centered around themes such as a retro-style boardwalk and the legendary highway Route 66. Grant's Farm (St. Louis). Kids of all ages will love interacting with the more than 1,000 animals at this farm operated by Anheuser-Busch. Learn all about pachyderms from the elephant keeper, or come face-to-face with a 2-ton American bison. Schedule a private expedition ride in an open-air vehicle through the Deer Park, where you'll get to feed animals and fish. And, of course, you won't want to miss the Clydesdales.